When it comes to fasteners and fastening systems for your fuel and water storage tanks, we offer a wide selection for you to choose from. 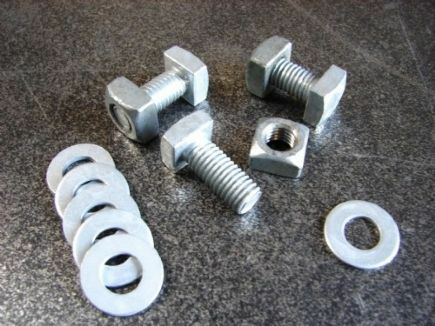 Chose from your basic tank bolts, stainless steel bolts, nuts and washers available in multiple finishes from black, hot dipped galvanized, dichromate dipped or unplated; to bullet plugs, rubber backed Bonded Washers and Bolted Backing Channels and more. What ever your storage tank needs are, we have fasteners for you. Tank Products, Inc., is located in the Inland Empire in the city of Ontario. We service the surrounding areas of San Bernardino, Los Angeles, Riverside and Orange counties as well as across the country from California to Texas, New York or any other state. Feel free to request a quote or fill out our contact form today with any questions you may have regarding our fasteners and fastening systems, liquid level indicators, flanges and more. Tank Products, Inc., provides a full line of steel bolts, API Tank Bolts and nuts in 3/8" and 1/2" diameters with lengths from 1" to 2 1/2". 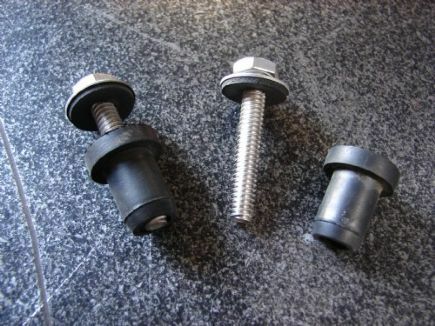 These fasteners are available in several different finishes, including unplated, black, hot dipped galvanized, mechanical-galvanized and dichromate dipped. A.P.I. tank bolts offered by Tank Products, Inc., consistently exceed the minimum strength requirements by substantial margins. The Bullet Plug is a great way to immediately stop leaks in tanks caused by hunters that accidentally miss their target. These 5/16 inch buna plugs work for most size round bullet holes including the 357 and 44 Mag. If the hole is a smaller diameter, it can be drilled out larger. This plug can be used with product still in the tank. Simply insert and tighten. 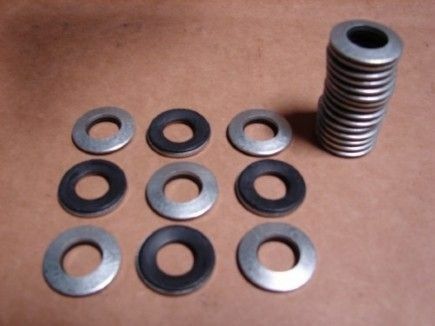 BONDED WASHERS are 1/2" rubber-backed washers that prevent scratching of painted or galvanized materials. 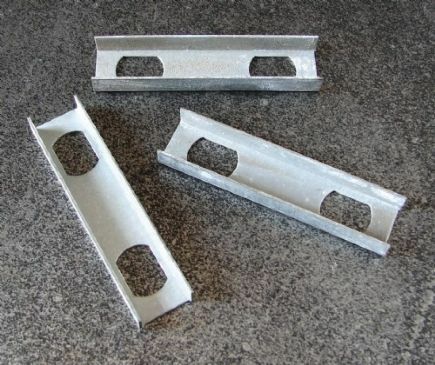 Tank Products, Inc. manufactures Bolted Backing Channel for use in erection of bolted steel tanks. This is roll-formed of 16 gauge steel with holes pre-punched on 2" centers. This method of manufacture produces a superior product. 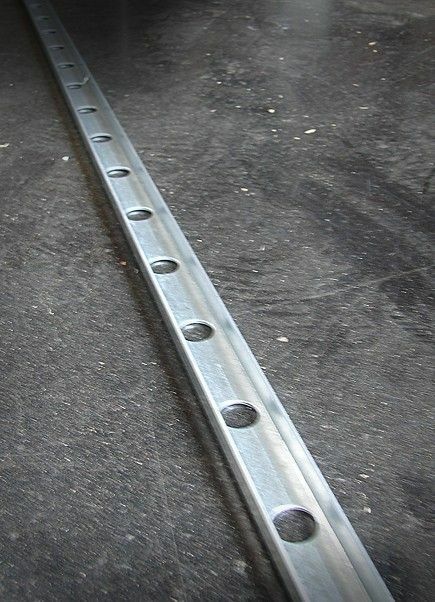 Backing channel is available in hot dipped galvanized steel. 2 Hole Channel is 16 gauge galvainized steel. Slotted 9/16" holes 2" on center. (3 3/4" long). For holding square head hardware in place during installation. Tank Products, Inc. specializes in API (American Petroleum Institute) & AWWA (American Water Works Association) products for the storage tank industry. We have the knowledge and experience to help you with a wide selection of fasteners, API flanges and more for both bolted & welded steel storage tanks, water storage tanks, fuel storage tanks and more.